This is an entrant scheme which is based on quota. This scheme always sought to lure increasingly skilled workers who have been looking to settle down in Hong Kong for improving the economic competitiveness of Hong Kong. Successful candidates do not need to have got an employment offer prior their visit to live in Hong Kong. Candidates needs to follow the requirements while applying for this visa and they could earn points under any one of the two test which are points based, they are points test based on achievement and General point test. 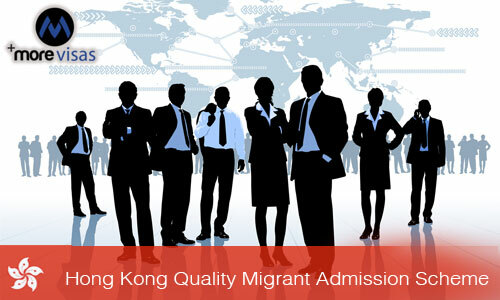 Quality Migrant Admission Scheme has also got allocation of quota. Candidates age should be above 18 years at the time of submitting an application under Quality Migrant Admission Scheme. The candidate need to prove that he/she is capable of accommodating and supporting their dependants on their own without depending on others. The candidate should possess proficiency in spoken or written English or Chinese language and should also possess good character. The candidate may bring their spouse and dependent kids who are below 18 years of age to Hong Kong. Candidates should need to follow the set of eligibility requirements prior they could be rewarded points under nay one of the two test that are points based under this scheme. Candidates who had gone through the eligibility criteria might be selected to get assessed under any one of the two tests that are Achievement based and General Points Test. Candidates needs to get minimum required points which are being set. Process of selection is done for allocation of quota for the candidates. During every process of selection, candidates who met both the eligibility criteria and least passing marks would be ranked as per the scores which are being awarded. High scoring candidates would get short listed towards further assessment. Candidates who has been allotted quota in the process of selection would be granted an approval letter. Candidates then needs to visit Hong Kong for attending an interview with all their original documents while applying for verification purpose. if entire original documents has been verified and entire procedures of application are finalized then the candidates would be granted with entry permit or visa under this scheme for residing in Hong Kong.